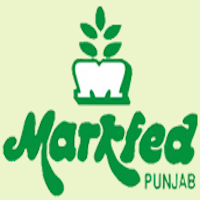 MARKFED Recruitment 2019 – The Punjab State Cooperative Supply Marketing Federation Ltd Job notification for posts of Senior Assistant, Steno Typist, Junior Engineer, Commercial Officer, Production Incharge, Procurement Officer, Store Keeper, Lab Technician. The detailed eligibility and application process are given below. A Bachelor’s degree from a recognized university or its equivalent with not less than 50% marks. Before his/her appointment he/she should pass a test in English & Punjabi Typewriting on computer at a speed of not less than thirty words per minute to be got conducted by the appointing authority. Having proficiency in Punjabi Stenography at the speed of 80 w.p.m. and to transcribe at a speed of 15 w.p.m. and proficiency in English Stenography at the speed of 60 WPM and to transcribe at a speed of 15 wpm. Should have computer knowledge having a certificate in Computer course from a recognized Institute by AICTE or UGC. Junior Engineer: Diploma in Civil Engineering/Electrical Engineering from a recognized University/Institution with two years experience in the respective line. Post Graduate Degree or Diploma in Marketing or MBA in Marketing. Having at least 2 years experience in Honey / Food Processing Plant. M.Sc. (Food Technology) or B.Tech. (Food Technology)/ Mech. (Engineering) / Industrial Chemistry /Chemical Engineering or equivalent. Having 2 years experience in operations of Food Industry. Procurement Officer: B.Sc. (Agriculture). Having at least 2 years experience of extension work in Bee Keeping with Farmers. Lab Technician: B.Sc. With Chemistry. steps. First, written test will be conducted. Skill test will be of qualifying nature. There will be no interview for any of the above posts. The mode of written test will be in English except for Punjabi Language section. The skill test (typing) for Senior Assistant positions will be held in English and Punjabi. Skill test (Shorthand) for steno typist will also be held in English and Punjabi. Examination Centre: Chandigarh and SAS Nagar (Mohali) only. How to apply MARKETFED Recruitment 2019? All interested and eligible candidates can apply for this position in online latest by 18 April 2019 and send hard copy of online application form along with required documents to the following postal address on or before 18 April 2019.